Wind turbines have become a common sight on Iowa’s landscape. Today, wind makes up 8 percent of the country’s energy grid, but in parts of the Midwest and Great Plains that have led the way in wind energy production, the figure is much higher. 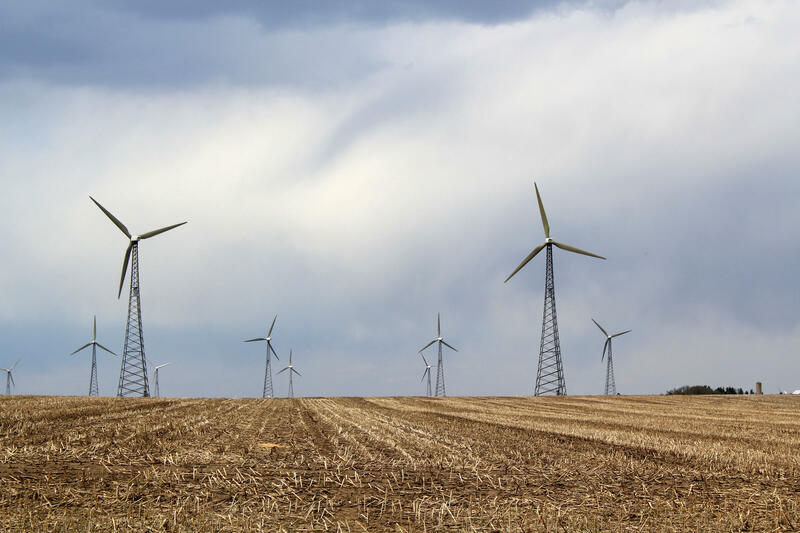 The state of Iowa now generates nearly 37 percent of its energy from wind, but Kansas, the Dakotas, and Oklahoma have also been wind-generation leaders, each now getting more than 20 percent of its electricity from wind. 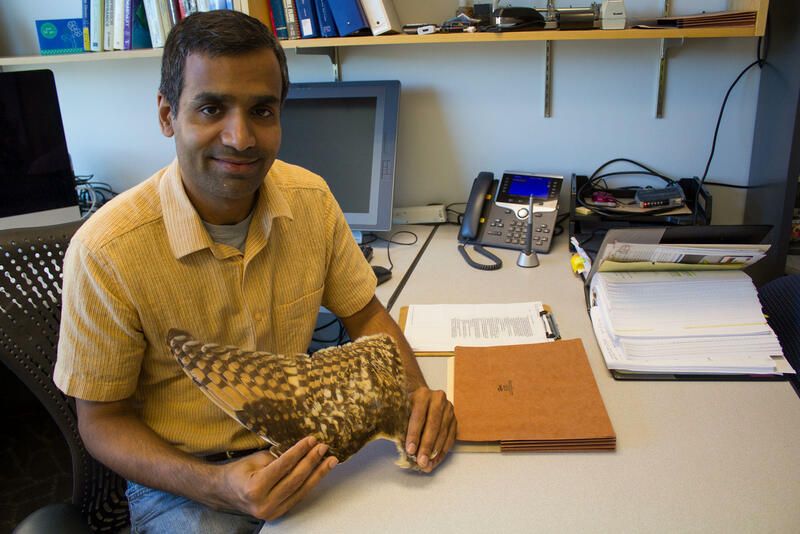 Iowa State University aerospace engineering professor Anupam Sharma takes inspiration from owls to develop quieter wind turbines. 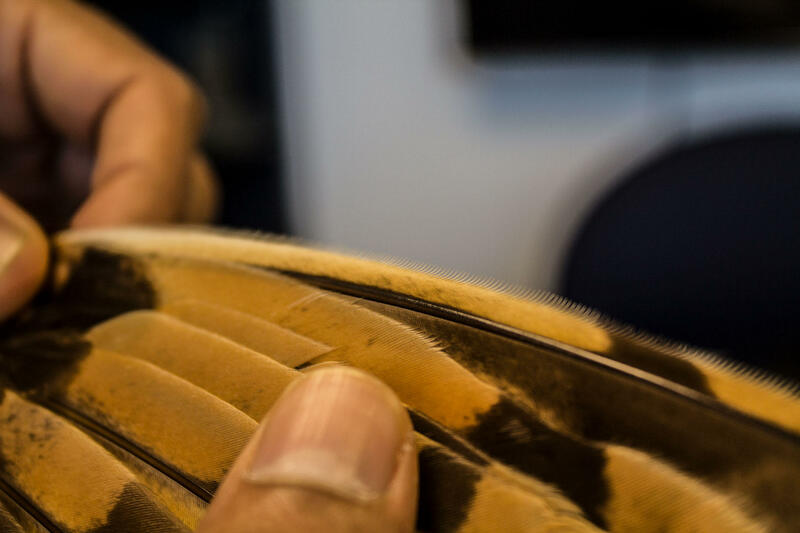 The comb-like structure on the edge of an owl’s wing feather is something scientists say helps reduce the noise it makes in flight. That’s one of the traits Sharma hopes to mimic with man-made structures for wind turbines. Out behind an engineering building on the Ames campus, Sri Sritharan is dwarfed by tall concrete panels connected to six-sided columns, with rusty rebar poking through. The panels and columns can be assembled into a “hexcrete” tower, which offers an alternative to traditional steel towers for turbines. 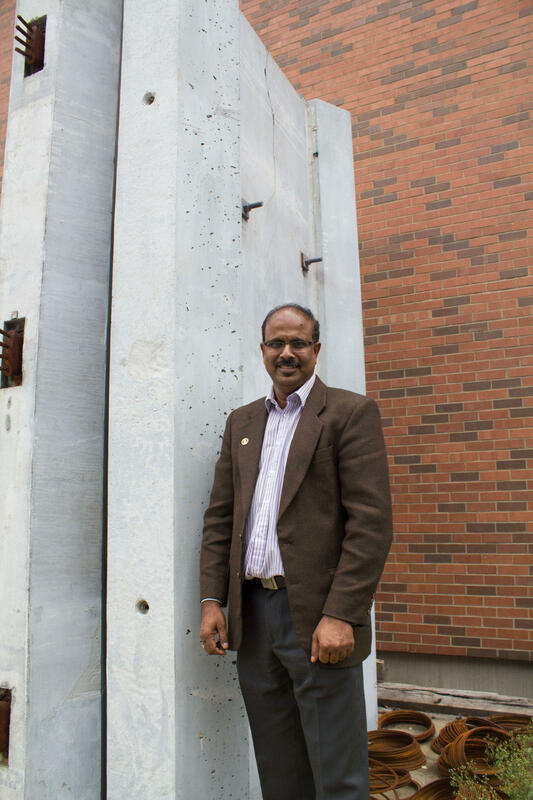 Sri Sritharan, who's part of Iowa State's Department of Civil, Construction and Environmental Engineering, stands next to a tower made of these “hexcrete” panels and columns. They could allow for turbines that are significantly taller than the current 80-meter standard for steel towers. Sritharan’s design uses special high-performing concrete and relies on a hexagonal shape. He says these towers could be a cost-effective way for the next generation of wind towers to stretch taller than the existing standard of 80 meters.